For me, Qoya is like coming home to myself. Qoya is medicine, truth, and remembering. When I practice Qoya, I feel like a joyful carefree child and the highest, wisest version of myself at the same time. I feel wise, wild, and free! I am honored to share that feeling with other women and help them to embrace their authenticity. To go for it!!!! That is is a magical dance into the very heart of yourself and a celebration for the collective remembering. 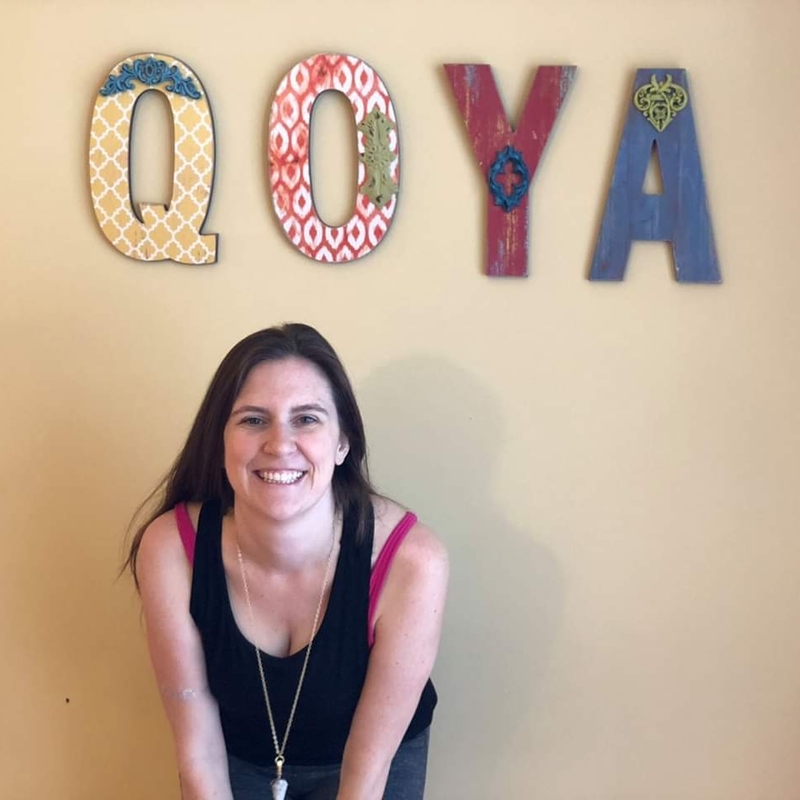 I took my first Qoya class in April 2015. I was waist-deep in a massive healing journey and Qoya was a goddess-send. For the first time in my life, I felt in my body what I had been trying to reach through my mind for over a decade: the direct experience of my own power, my own beauty, my own strength, my own resiliency, my own divinity. It felt as if I were dancing by the ancient fire. A feeling so pure, so strong, and so free came over me. It reorganized me. Trust the call that has you even thinking about it, there are no mistakes and there is no way you can do it wrong. Qoya has given me the most important gift of my life: a physical connection to my truth and intuition. Because of Qoya, I am able to trust the sensation of truth in my body. This has been a lighthouse in my life, and it is the greatest gift in the world to teach Qoya and to share this experience with other women. Qoya is such a sweet and simple yet deep practice of transformation and unfolding. Get ready to dance, giggle, soar, connect with community, practice yoga and sink deep deep deep within the well of wisdom that you are. Set yourself free, as your inhibitions roll off of your body, like water! Definitely try it with an open curiosity, not knowing what to expect. Just allow it to take you along for the ride. For me, teaching Qoya allows me to share an amazing gift with others. Through Qoya, if I can help one woman to breathe a little more deeply throughout her day, to notice and trust that feeling in her gut, or to keep her body moving through a difficult transition, that is enough. After years of dedicating myself to disciplined practices for achievement, Qoya was the first thing that allowed me to sense and fully savor. THIS is where the magic is.